I am new to the ballerina scene. All pastel artists have to try them out in honor of Edgar Degas. Wow. He painted grace and movement in volume. I need to paint in volume. The road to mastery of a subject is volume. This painting was a moment at rest. 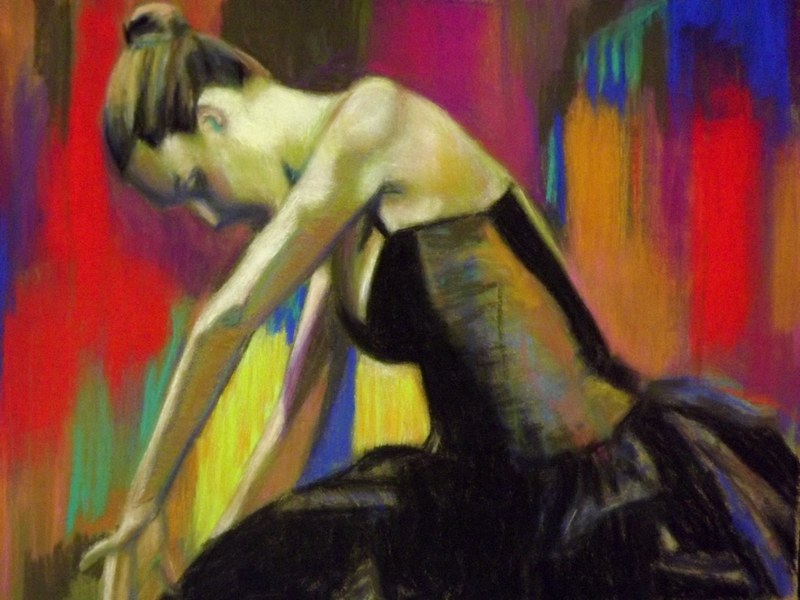 I decided to abstract the background so that the focus is the ballerina, with simple yet intense colors.